The Great Trivia Challenge Returns! 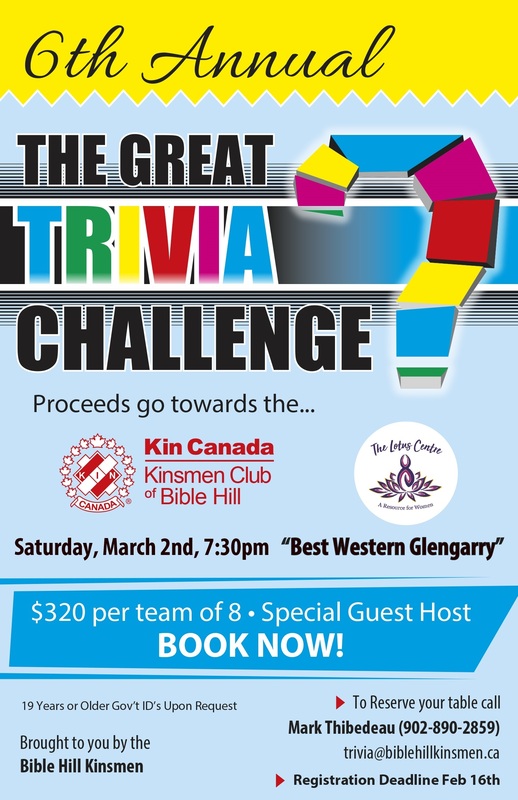 It’s that time to register your team of 8 for the Bible Hill Kinsmen’s Great Trivia Challenge! 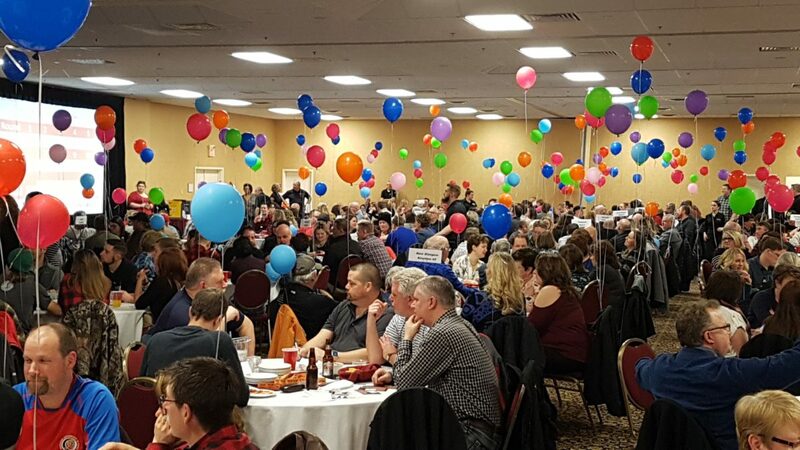 We are now into our 6th year and are planning another fun night of trivia, food and prizes to take place on Saturday, March 2nd 2019! We continue to support The Lotus Centre’s Girl Power Camp and other community projects supported by the Bible Hill Kinsmen.